Product #528 | SKU Z-1/4-LS2 | 0.0 (no ratings yet) Thanks for your rating! 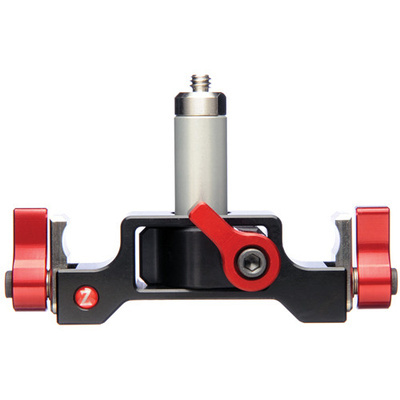 The Zacuto 1/4 20" Lens Support is designed to fit onto a set of 15mm lightweight camera mounting rods. It clamps onto the rods, fitting underneath the lens to provide additional support. Once attached the unit screws into a Q-mount. This model comes equipped with a set of 6.35 cm 15mm lightweight rods. Fitted for 15mm lightweight rods.